Before the Bears-Packers game on Sunday night, some of those celebrity types were wrangled up and escorted into a holding pen, lest their celestial superpowers overtake those of Brett Favre. 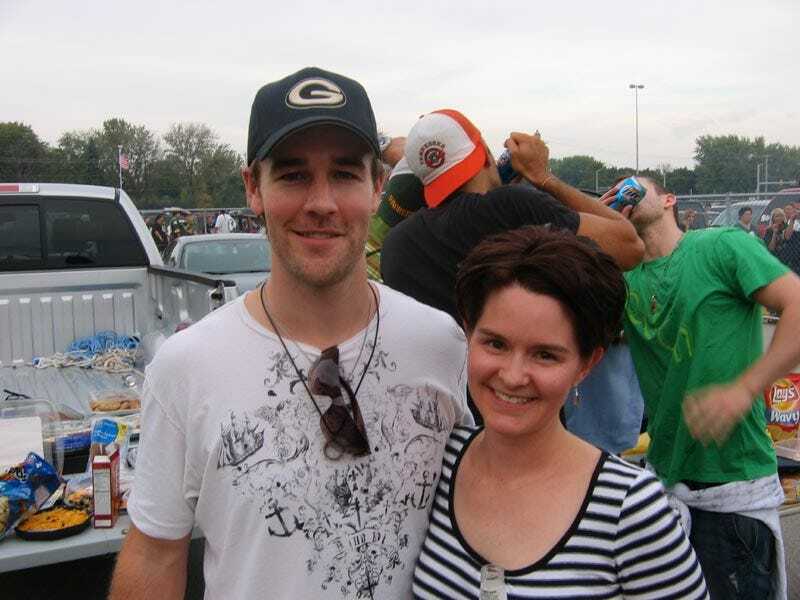 In the above picture, James Van Der Beek — most famous for his role as Lincoln Rogers Dunnison in 2001's Texas Rangers — smiles for the camera while Justin Timberlake shotguns a Miller Lite in the background. Seriously. That's kind of cool, we think. More after the jump.